This small handle with a single button looks like the hilt of a short sword. When the button is pressed, it activates a magic beam from the handle that operates as the spell Ethereal Blade of CL 4. 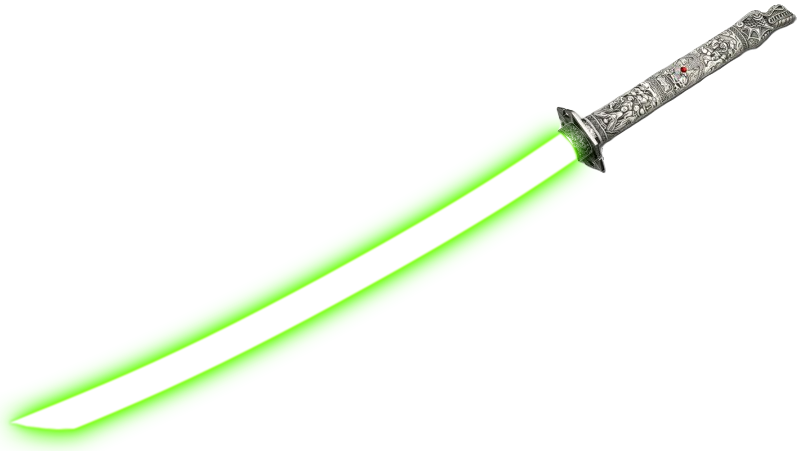 Ethereal blade creates a 3-foot-long sword of swirling energy that springs forth from your hand. The blade strikes as a melee touch attack and inflicts 1d8 + 2 points of damage l point per 2 caster levels (2) against corporeal and incorporeal undead opponents. The blade is also bone-chillingly cold and inflicts half this damage again as cold damage against living opponents. (i.e. Max 15 pts dmg). It is considered “magical” for the purposes of overcoming magic resistance.